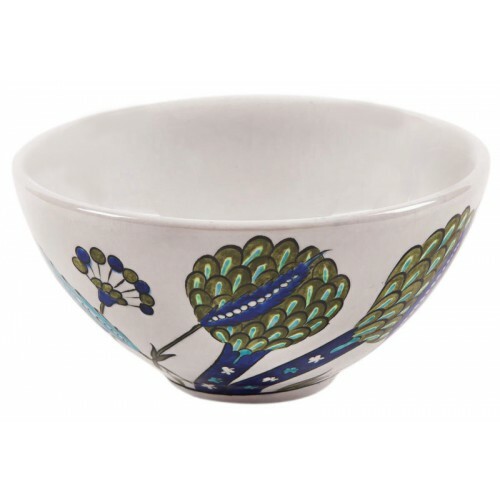 Iznik Ceramic bowl with artichoke pattern was specially designed and hand-made by Zeynep Tişkaya. 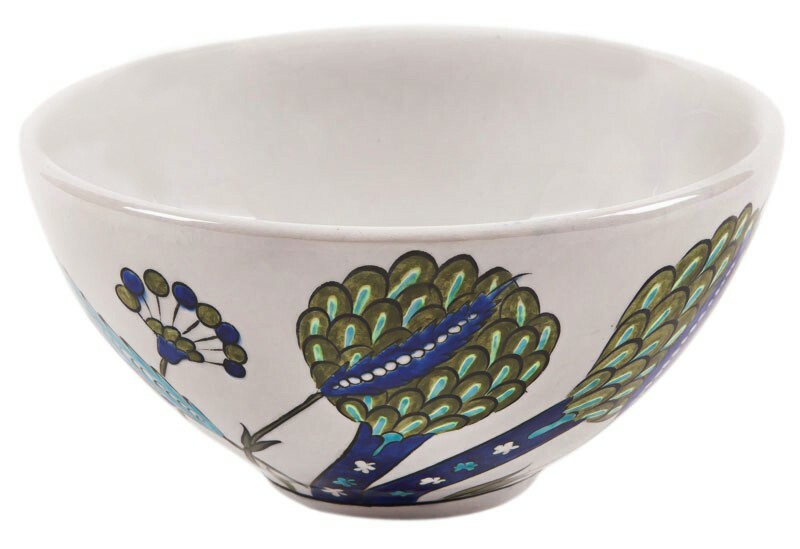 A distinguished porcelain group known as Damascus Works in the 16th century Ottoman Ceramics differ from the others in terms of both the colours and patterns. In these porcelains, turquoise and cobalt colours were used instead of red. The patterns comprise small pomegranates and artichoke. Material: it consists of porcelain mud, quartz which is a semi-precious mineral (80*85%) and a mixture of clay and glaze. These forms shaped are fired in 1000-1040 degrees and become ready for dying. 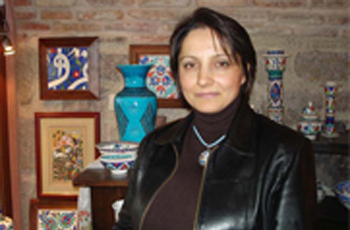 The patterns are dyed by means of "sıraltı" technique and placed in the oven for the second time after being vitrified. With the effect of the high temperature, the glaze melts and transforms into glass. Dimensions: Height 8, diameter 16 cm.